A steel labyrinth: this is how Jaeger-LeCoultre describes the new Grande Reverso Ultra Thin Squelette. 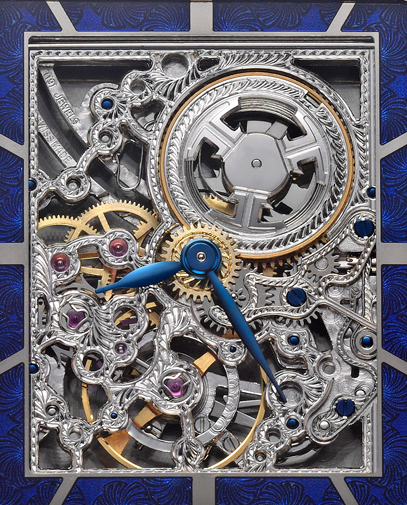 Entirely openworked and decorated by hand, the mechanical movement reveals its wheel-trains fascinatingly interwoven according to a purposefully created design that leaves nothing to chance. 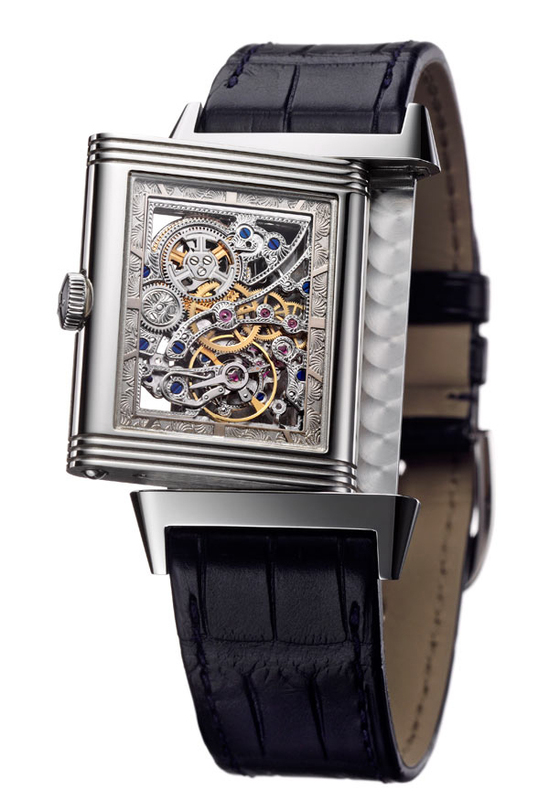 The mechanism is reduced to bare essentials, while ensuring its flawless reliability. All the sides have been individually hand-drawn, chamfered, polished, chased and engraved. 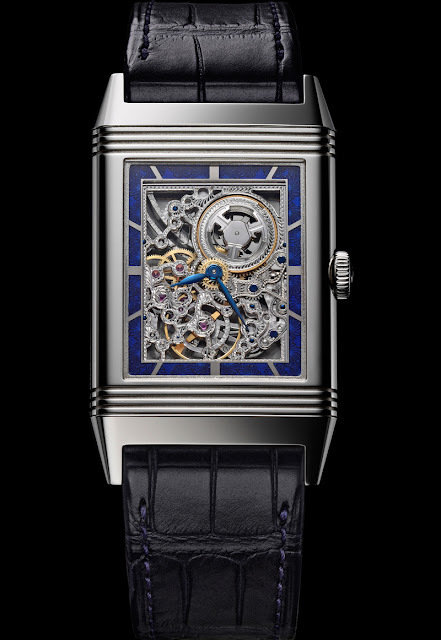 Blued screws are dotted across this delicate lacework, while the jewels are there as a reminder that this is a first-rate mechanical manually-wound movement, Jaeger-LeCoultre Calibre 849RSQ, characterized by a frequency of 21,600 vibrations per hour and an ultra-thin 1.85 mm thickness comprising 128 parts. The white gold dial is framed by finely engraved arabesques, accompanied on the front by a blue-tinted translucent enamel coating echoing the traditional colour of the blued hands. The Grande Reverso Ultra Thin SQ is issued in a 50-piece limited edition.